One thing that I have learned in life is to not judge a gift-wrapped box by shaking it. Or a film from its trailer. Take the Twilight series for example – what seemed like an action packed vampire and werewolf bloodbath turned out to be a squishy tale of metrosexual blood suckers making big eyes at buff, clean-shaven boys in hot pants, all the while running around trees. Yuck! Similarly, if you look at the new Quanto from the front, and automatically size it up as a truncated Rs 5.8 lakh rupee (ex-showroom, Thane) Xylo, you’re dead wrong. Sure, it might share a lot with its bigger MUV sibling, but that’s where it all ends. This is another beast altogether, and to truly discern the difference, you need to get behind the wheel. The dashboard layout will seem like a clone to those familiar with the Xylo, but the plastics now seem to be of better quality. Turn on the motor and the differences begin to make themselves known. 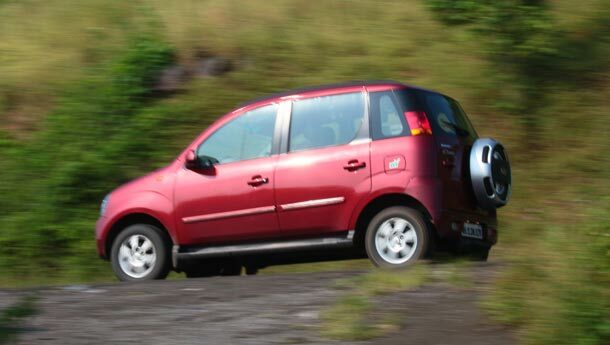 Gone is the Xylo’s four-cylinder motor, for the Quanto gets a 100 bhp three-potter diesel. A three-cylinder? So that automatically makes it inherently vibrate your tooth fillings out, right? Wrong! Although a slight tremor can be felt from the steering wheel at idle, the engineers at Mahindra have done a fantastic job in sorting those vibes out. You won’t know it’s got one pot less than the Xylo till it is brought to your notice, and hardly any NVH makes it into the cabin. It’s really that good! Picking up from standstill requires some clutch work and revs to get the Mahindra in motion. That could be a pain for all of us city slickers. But once it is on the move, it’s much, much better. The gearbox isn’t the same as that of the Xylo and although it does not feel like a rubberband to operate, it is still rather notchy. The torque is felt best beyond 1900 rpm, and you’ll have a rollicking time surfing that curve till it peaks just below 3000 rpm. However, the Quanto is happiest at about 2500 rpm. Yes, it’s not much of a rev-band, but it’s enough to keep you and the happy bunch in your Quanto at triple digit speeds on the highway all day long if you play the game on the Quanto’s terms. The numbers pretty much say the same thing. 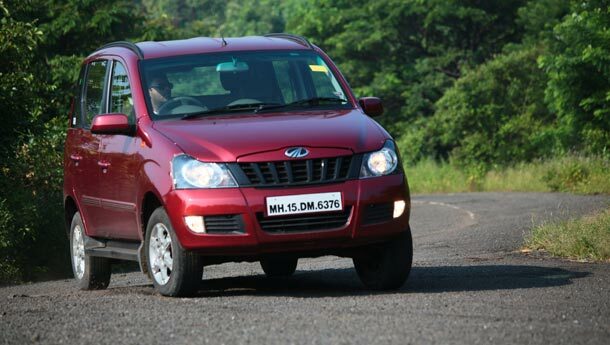 A sprint from nought to 60 kph is achieved in 6.4 seconds, while the Quanto hits the tonne at 16.8 seconds. And the top speed achieved was just over 143 kph. Honestly, I reckon that it could hit 150 kph, but not without some help from a tail wind and a gentle slope. That’s not the point of the Quanto, however. This is no drag-strip scorcher; it was intended to get seven people from point A to point B in comfort. And that it pretty much does, as long as everybody’s aboard. You see, when loaded up, the Quanto’s ride quality is pretty good for what it’s worth. Start dropping passengers off, and then the Mahindra begins to bounce till the point when it’s just you behind the wheel, it can get awfully close to being painful. The seats are comfortable and leg room is sufficient. That said, I would have preferred that the backrests of the second row seats could have been a little less upright. 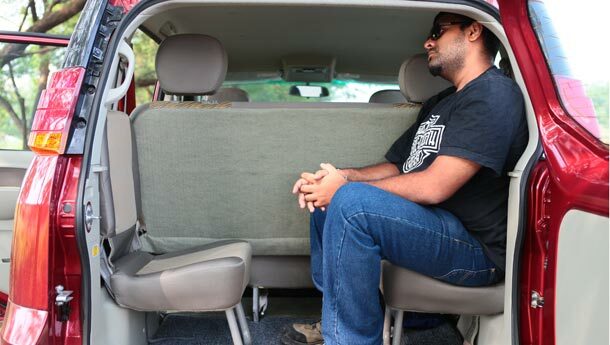 The jumpseats at the rear seem to be an afterthought, really. Trying them out for size revealed that a bloke of my dimensions would definitely feel cramped on journeys exceeding a couple of hours. Children and average sized adults, however, will have enough space to shuffle about to keep their limbs from going to sleep. 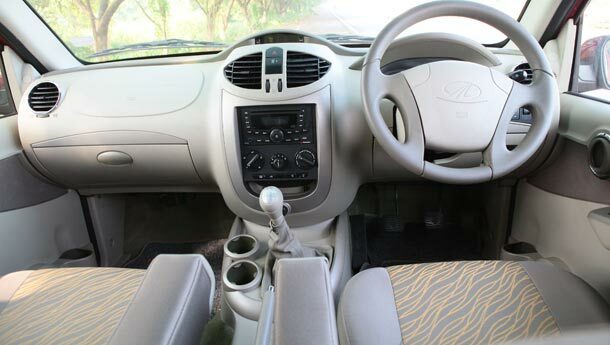 When it comes to the driving feel, the Quanto should keep most drivers happy. The steering wheel can feel vaguely weighted and numb, but it seems like most people like over-servoed powersteering systems anyway these days. The brakes too, although doing their jobs rather efficiently, return almost no feedback through the pedal. Squeezing the Quanto through kinks is fun! Before you do so, however, you have to realise that this is a very tall vehicle and consequently has a relatively higher centre of gravity. 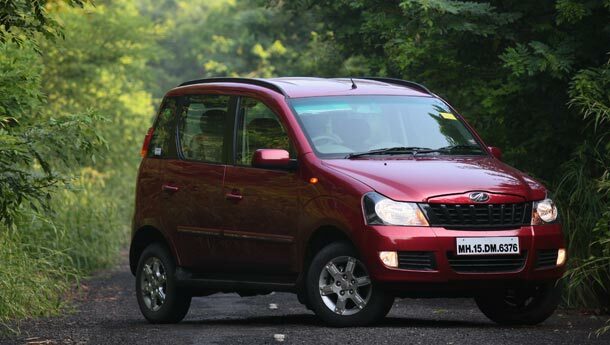 Body roll is prominent when you’re chucking the Mahindra through corners enthusiastically, but the Quanto does not feel jittery within reasonable limits. All in, the Quanto feels solidly built and should last a long time in the hands of a caring owner. A few squeaks did manage to make themselves known at the rear, but it’s not the kind of stuff that could lead to an opened bonnet late at night, at the side of the road, in the middle of nowhere. In this case, and I mean it as a compliment, the Quanto is exactly what it appears to be – value for money.